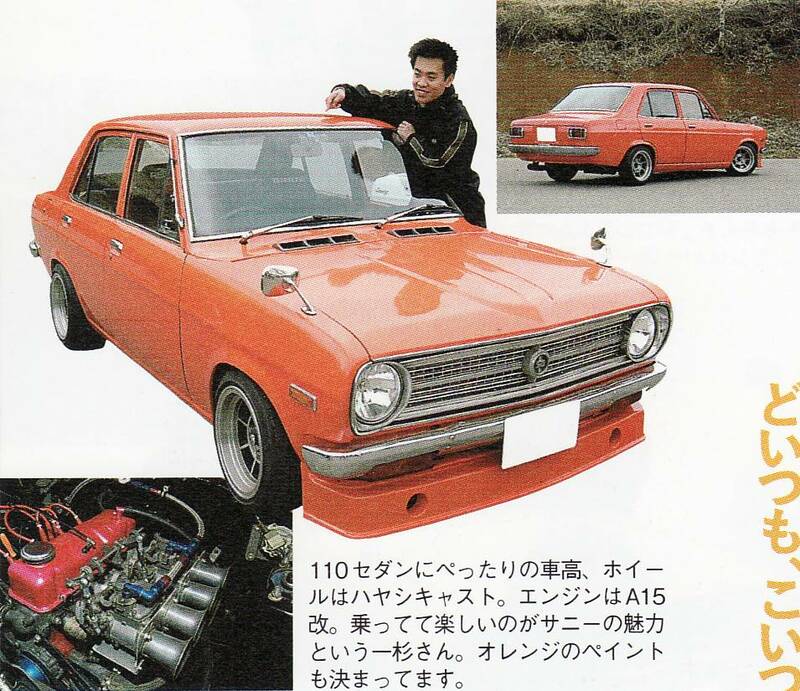 110 Sedan car height is perfect, wheel is Hayashi cast. The engine was changed to A15. Sunny's charm and power is such that Mr. Shinsugi says that it is fun to ride.